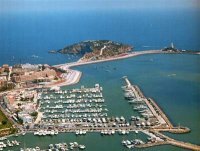 As two of the largest cities on the island of Ibiza, San Antonio and Santa Eulalia are popular tourist destinations, thanks in part to their wonderfully Mediterranean climate, their fantastic culture and cuisine as well as a variety of other features that attract countless groups of tourists. This is one of the clubbing capitals of the world and an impressive town with an abundance of bars, clubs and restaurants. The West End Strip is the location that many young British tourists will be most familiar with and features bars/clubs such as Viva, Tropicana and Funky Flares. However, there's a lot more to San Antonio than meets the eye. It is a wonderfully attractive part of Ibiza, complete with great stretches of golden beaches, fun water activities for all to enjoy and some beautiful countryside where tourists can gather to enjoy the stunning sunset over the town. Those seeking to enjoy a few extra thrills on their trip can head to the Arenal Diving Centre for some classes and the wondrous backdrop beyond the town, with its mountainous terrain and hilly peaks, is perfect for mountain-biking as well as long, exploring walks and hiking. As the location grows in popularity, services offered to potential customers are gradually increasing in quality. Retail outlets selling fashion, fruit and vegetables, souvenirs and many other items are growing more popular, adding to their stock. Santa Eulalia is praised as being far friendlier for families and couples than the elegant, yet noisy, streets of San Antonio. From the palm promenade running alongside the broad, sandy beach, to the excellent assortment of hotels, this is a charming and relaxing place for anyone to spend their holiday at. Like San Antonio, its retail industry has picked up in recent times and it's a great place to find souvenirs for home. 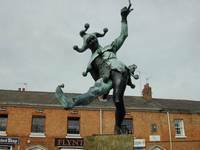 Its quaint atmosphere is showcased further with its river walks inland, a few yards off its main harbour. Its eclectic nature is heightened with the presence of Ring O'Bells, a quaint British-themed pub that will be sure to please many. Celler Can Pere Restaurant is another strong staple of this fanciful location and is situated in an authentic vine-yard cellar, complete with a classic menu. The street of Calle San Jaime is a popular location as it features a number of fine restaurants and bars, promoting an idyllic Mediterranean scene full of lights, live music and a fine fiesta atmosphere. For those seeking something different, make your Ibiza holidays special with Thomson, with San Antonio and Santa Eulalia both excellent places to visit. Ancient ruins, stunning beaches, boutique-covered boulevards, experts agree that Crete has it all and more. However, not everything is located in the same place and it's hard to see the entire island in one trip. You'll make the most of your time on Crete by planning ahead and basing yourself in an area where the attractions that most interest you are located. Maui is an attraction-filled destination that seems like a compilation of Hawaii's best qualities. Surfing beaches? Check. Volcanoes? Several. Family-friendly? Definitely. Posh resorts? Absolutely. The legions of vacationers that come back home teary-eyed and hypnotized can't be wrong -- this is where you learn Hawaii is more than a series of islands, it's also a spiritual experience. Step off the plane, take one whiff of the plumeria blooms and you'll be hooked. Now more than ever, women are traveling by themselves for business or pleasure. And although their reasons for traveling are similar to their male counterparts, women traveling alone have very different concerns. From safety issues to cultural variations, women travelers encounter a variety of difficulties that can be avoided if the necessary precautions are taken. To learn how you can travel safer, read these tips from ASTA (American Society of Travel Agents). Some of the most travel-wise people in the world, ASTA members understand that while it pays for both men and women to be educated travelers, it is imperative for women to plan every step of their trip - from packing a suitcase to choosing a hotel room - to ensure a safe return. Going to Istanbul? Prepare to be astounded, for Istanbul is one of the most intriguing metropolises in the world. For more than 1600 years the city served as capital for two major world empires, first of the Byzantines and then of the Ottoman Turks, and has remained the cultural capital of Turkey since the country’s founding in 1923. The brilliance and beauty of this long legacy can be found throughout the city, in its monuments and in the spirit of its people. Throughout its extensive history Istanbul has also been attracting a certain type of traveler. As a “bridge” between Europe and Asia, the city has lured in foreigners from the West to see at first hand the mysteries of the East, and from the East to see at first hand the mysteries of the West. Prince William and Kate Middleton have never been the stay-at-home types. A traveler could plan a royal (and royally expensive) getaway just following in their footsteps. The couple has journeyed to some of the world's most luxurious spots. Here are five places to catch the flavor of a royal vacation. The sun isn't the only thing that heats up between June and August in the Northern Hemisphere, the season also ignites the hottest summer party spots. Ibiza, Spain – Known for attracting world class DJs and referred to as the 'party capital of the world', Ibiza is home to some of the world's most famous clubs and brings revelers in their millions. The heaving club scene is complemented by a diverse collection of bars and Ibiza has also recently been home to the popular live music event, Ibiza Rocks. 1. NO fanny packs - also known as the Buffalo pouch, hip sack, waist bag, hip pack or bum bag, nothing says "I'm not from around here," like a bulging hump around your midsection. 2. Plan ahead - There is nothing wrong with consulting the map in private to gain your bearings, but try and avoid the dazed "where am I?" expression, especially in crowded city streets. You love a craic, right…who doesn't. Bet you enjoy a pint? Here are the best Irish pubs around the world to welcome in St Patrick's Day on Thursday, March 17. Slainte! (that means health by the way). 1. 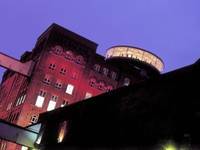 Guinness Storehouse (Dublin, Ireland) – If you happen to be in Dublin this St Paddy's Day, a visit here is a must. The Guinness Storehouse will host a festival in honour of the Irish patron saint, and probably the most famous beer in the world. There is live music and entertainment, dance troops, complimentary local seafood, Guinness tastings (naturally) and much more. It's a great excuse to be Irish for the day, not that you ever need one. If you're looking for accommodation, you can try vacation rentals in Dublin . The murmuring of winds, the soft sun rays pampering your skin and the waves of the ocean swirling beneath will sweep you off your feet at Goa. Situated in the Southern region of India, off the Arabian Sea at west coast Goa is blessed with enormous exquisite beaches. The smallest state of India, Goa houses lovely beaches and captivating natural beauty. Travellers from world over are charmed by the picturesque beaches, breath- taking beauty and relaxed life style of the popular ‘Ibiza of India’. There are three things that are all but certain during the winter high-travel season: family gatherings, plenty of food, and strict security at the nation's airports. To improve the safety of passengers, the federal government has introduced advanced imaging technology at some of the country's airports. These are machines designed to screen people for weapons, explosives, or other items that might present a security risk. Here is some information to help you learn more about how this technology works, as well as tips to help you prepare for the busiest travel season of the year. 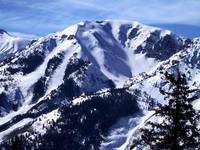 There are many great ski resorts in the state of Colorado. Determining which is the best ski resort in Colorado for your ski vacation is often dependent upon skier ability, desired terrain, nightlife, and other available resort activities. The best ski resort for a Colorado local might not be the best ski resort for the destination ski resort vacationer.